The Wellston Transit Center has attracted a number of new developments, and there are no signs of activity stopping any time soon. A few months ago, expansion work began at STL Venture Works, a small-business incubator and innovation center located just a few steps from the MetroLink station. The expansion is adding to the existing St. Louis County and Municipal Police Academy, the Metropolitan Education and Training Center (MET Center), and the Early Explorers Child Development Academy. Wellston is now looking forward to even more investment in development and amenities with the recent announcement of the Sparta Court Soccer Fields project. The St. Louis County Port Authority was awarded a $450,000 grant from the Outdoor Legacy Partnership Program of the U.S. Department of the Interior. The grant will fund the development of two youth soccer fields (for players 4-8 years old), new parking areas, landscaping, and maintenance on the lots adjacent to the Early Explorers Child Development Academy, just a few hundred feet from the Wellston MetroLink Station. Leaders at St. Louis County noted that the grant application was an important step in the ongoing revitalization of Wellston by addressing a community need for recreational opportunities. 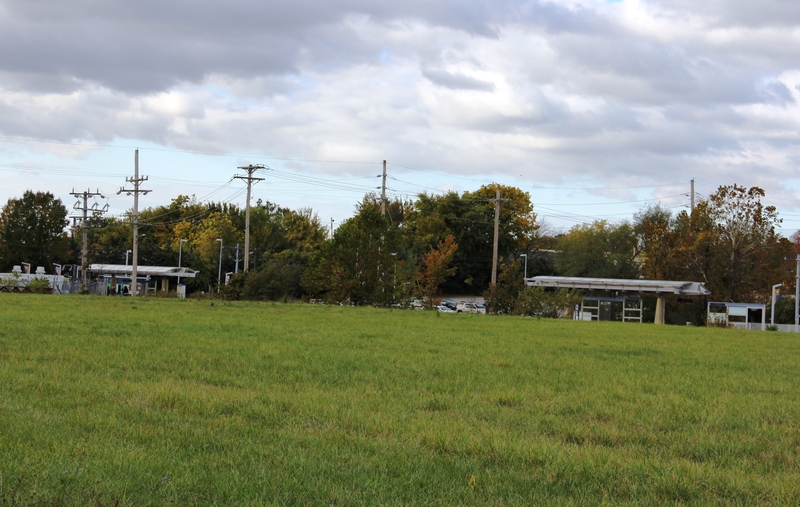 The area around the Wellston MetroLink Station is quickly becoming an important civic center for the community with a concentration of crucial job training, public service and community facilities. The Bi-State Development Research Institute built on this existing momentum in Wellston by recently installing a fresh food kiosk at the Wellston Transit Center that when it opens in the very near future, will bring fresh and healthy food options to Metro riders and the surrounding community. Through the Research Institute, the transit center is also slated to become one of the Metro transit center locations in North St. Louis County that a mobile health screening unit will visit once a week. The Links 2 Health vehicle will be operated by the St. Louis County Department of Public Health. St. Louis County Executive Steve Stenger recognizes this momentum of services and facilities around the MetroLink station as an important piece of the Wellston’s future. Building a concentration of community services around public transportation is smart transit development. Those that use the services around the light rail station are often transit-dependent and can benefit greatly from the convenience and accessibility of all of the resources located near MetroLink.